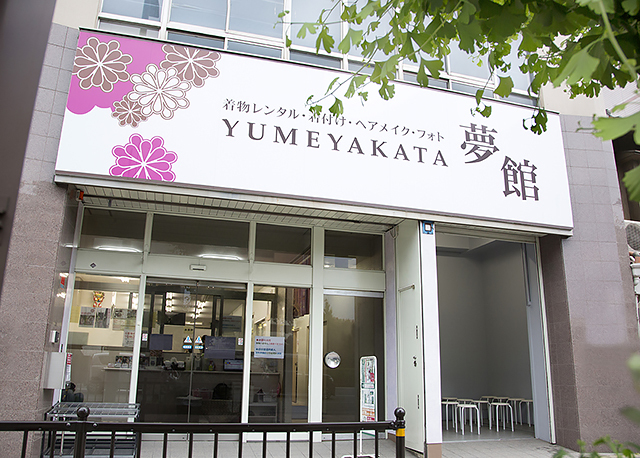 To commemorate the launch of this new initiative, Yumeyakata is renting their wagara hijabs for the special price of 300 yen (normally 500 yen). -- Acclaimed Female Japanese Dancer Collaborates With A Japan-Inspired Dance Group – The Result? Mesmerizing! It's too bad Muslim women can't take off their hijabs ever in order to wear a kimono properly and truly allow them to experience Japanese culture, let alone ever play in international beach volleyball tournaments wearing the required attire for that sport. 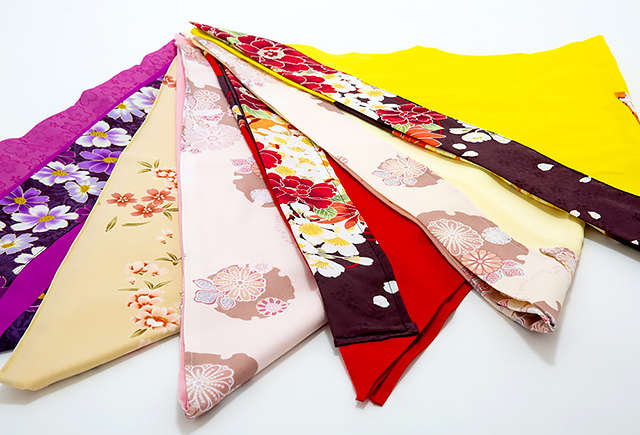 That being said, these wagara hijabs with the kimonos do look nice. 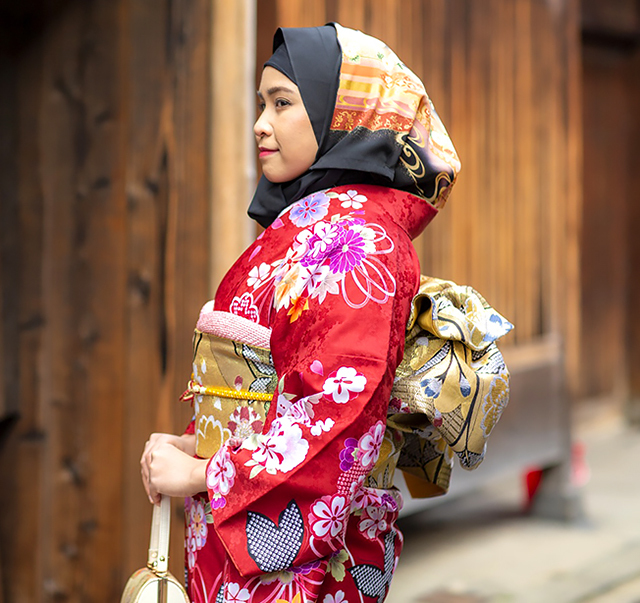 Why does Japanese culture need to accommodate foreign religions such as islam and allow muslim women to wear hijab when they want to “dress up” in kimono? This is not how you wear a kimono in Japan. 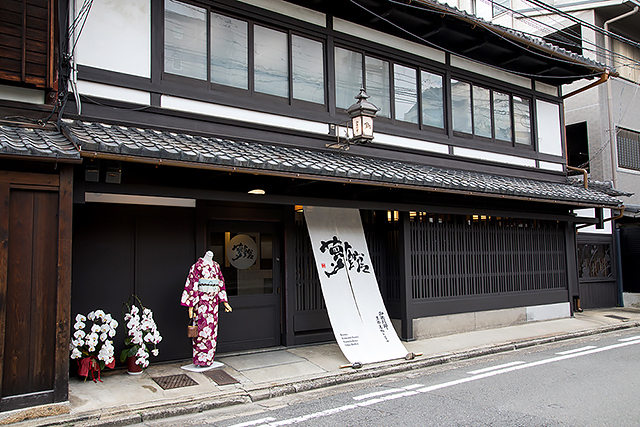 Yes, it can be a nice experience for foreigners to dress up in kimono and feel like a geisha for one day, but if your religion doesn’t allow you to experience the japanese way of wearing a kimono the way it should be, then don’t do it. You sould respect the Japanese traditions when you are visiting Japan; not the other way around. They can, and do. Not all Muslim women are forced to wear traditional and cultural attire that makes up the many different Muslim cultures around the globe. let alone ever play in international beach volleyball tournaments wearing the required attire for that sport. I was not aware Kyoto was remowned for that sport. Why does Japanese culture need to accommodate foreign religions such as islam and allow muslim women to wear hijab when they want to “dress up” in kimono? Because Japan is (despite our occasional gripes) an open-minded and welcoming country. What do you suggest, physically removing the veil? It's a lovely, positive and rewarding thing, this development. But oh, no - the fear that Japan will contaminated by our foreign ways has to crop up. Again. It’s very difficult to judge the level of pressure Muslim women face to cover up. In some places they can face appalling consequences from the law. In others, societal and familial pressures are at work. Those women who have fought against covering up are extraordinarily brave and true feminist heroes. Not all people, including many Muslims, see garments like this and what they represent as lovely, positive and rewarding. While I would not agree with forcing people not to wear it, I’d be uncomfortable promoting a business which capitalized on it. But when there is money to be made, people will make money. Good luck to them. Not all people, including many Muslims, see garments like this and what they represent as lovely, positive and rewarding. Of course not. I know plenty who don't wear any traditional garb and plenty who do. I've even (gasp) enjoyed a drink with them in the pub after work etc. Some women are forced to wear the gear and some aren't. Some where it as a form of identity and its not down to me to say whether they should or shouldn't wear it. I've even (gasp) enjoyed a drink with them in the pub after work etc. No need for the condescending tone. I’m fully aware that some Muslims drink, thank you. The issue of pressure is a huge one and it can’t be skirted that easily. Apologies, Jimizo. That was aimed more at those lurkers who see Muslims as a single entity, rather than yourself. I don’t think an increase in Muslims visiting Japan and people making money off them is a cause for alarm although the garment in this article is problematic . It's a sales tactic, obviously. Islamic people don't really drink so they have a lot of extra disposable income -- and these extra bills are perfect way for a temple to seek to improve their revenue streams. The temples may have a lot fo fabric left over from when more people actually walked around in Kimonos, so why not repurpose the fabric and line your pockets with currency, instead of lining your pockets with old fabric? Hopefully when I go a temple sober I will be able to buy a cowboy hat made out of kimono cloth and use it as a giant, foldable whiskey goblet. Just like Toasted Heretic said, it's tourism. No big deal. Japan isn't about to accept Sharia law just because they have some pretty hijabs for rent to tourists. I can't understand why people are getting into a froth about this. Japanese are very client oriented and how to make money from tourists. Not a bad thing since they have ideas. Why not for Muslims if need be ? Then learn that for tens of millions, this kind of clothing is like a prison over your head for women. Harassed if not wearing it. But it is also as said by Toasted for many just a cultural habit. 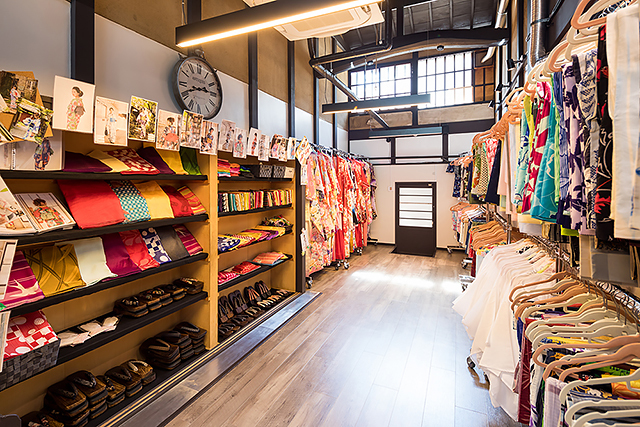 About the experiencing the japanese clothing...then do it the japanese way. I laughed well about comparison with cowboy hat above comment. Nice to share culture and culture shall get over religion. Japanese see culturally that way with such nihon hijab renting. What's their stance on Burkas, I wonder? I see those items worn quite a bit by female tourists in Bangkok and other SE Asian spots. Veils, too.